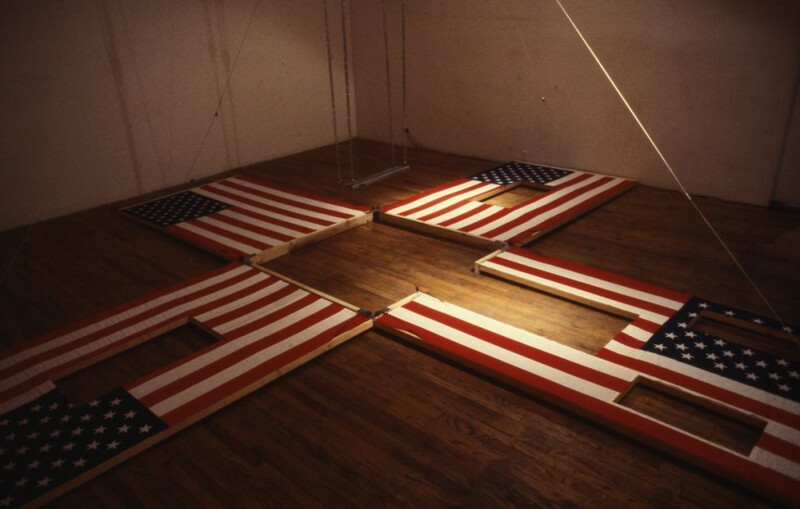 As the title indicated, this exhibition featured three installations by Vito Acconci including Movable Floor, 1979, Instant House, 1980, and When The New Revolution Comes, 1980. 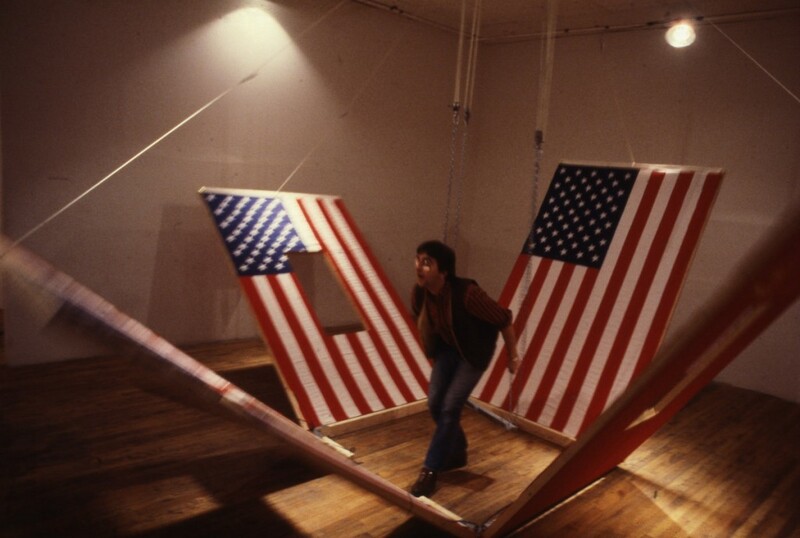 Placed in different rooms, each installation functioned like a mobile architectural unit. 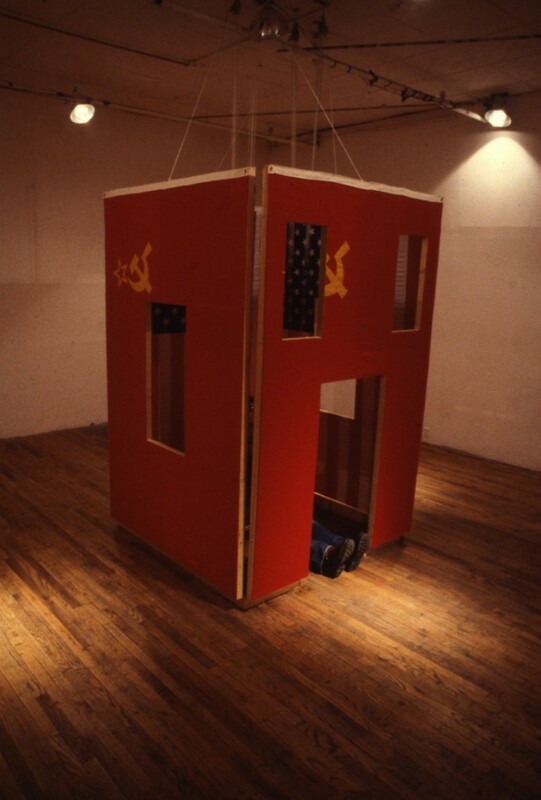 Made of four panels with parts cut out, Instant House was activated by a swing, erecting and enclosing the four panels with four American flags attached to be an interior while revealing the four hidden Soviet Union flags that then became the exterior of the House. 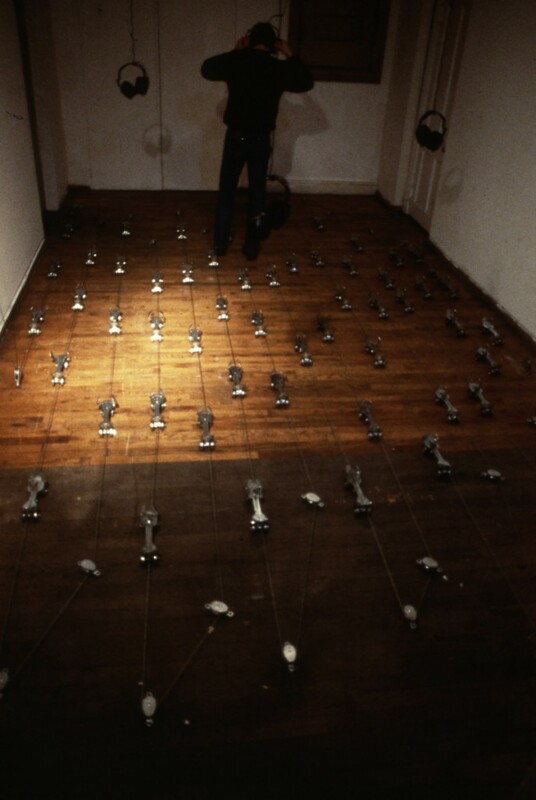 Movable Floor was a system of closed cable that drew roller skates across the room, and would only stop when the viewer could skate across the room to reach the end of its line. 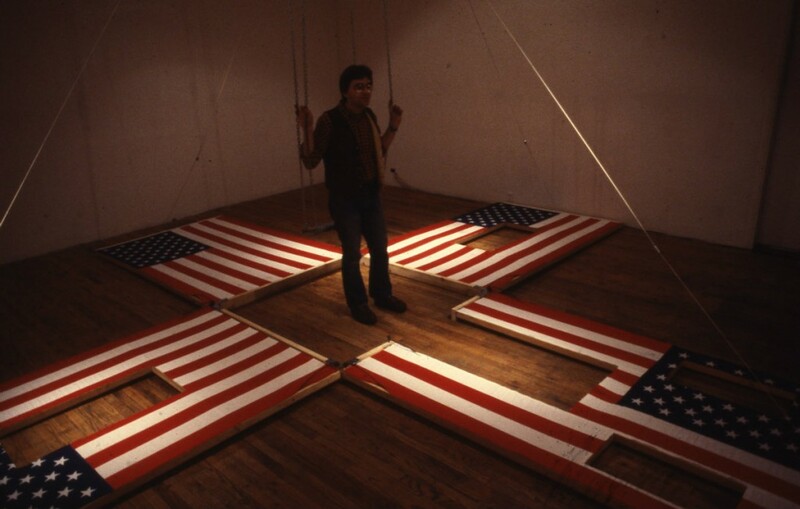 In Movable Floor four headphones hung from the ceiling; three of which repeated one phrase of disco music, whereas the fourth, red headphone played a song by Chilean Revolution that developed one phrase at a time. 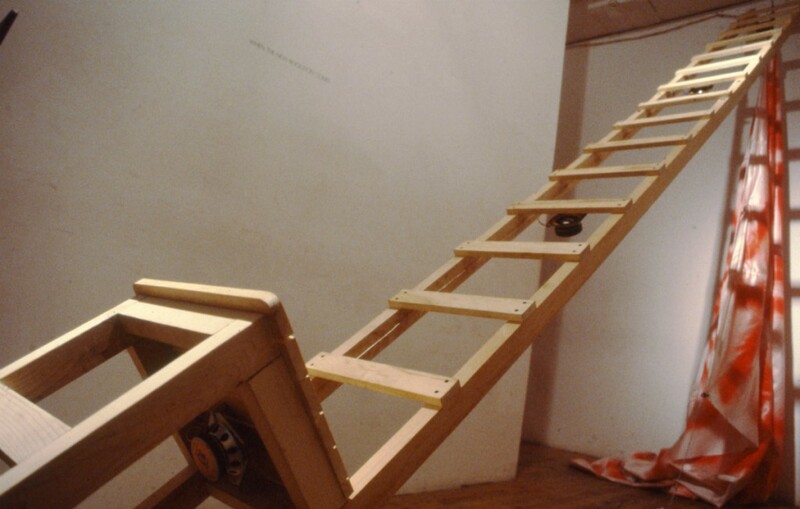 In When The New Revolution Comes, a wooden chair was placed on metal runners, and its back was transformed into a twenty-feet ladder. 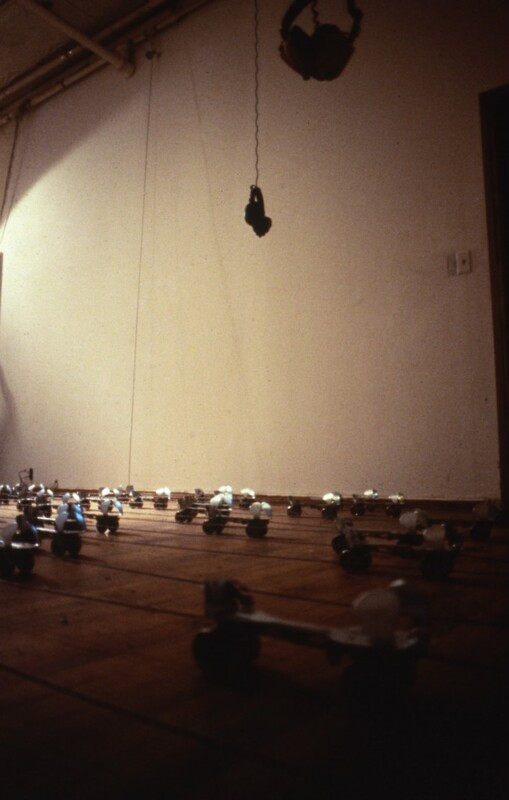 This installation employed audio speakers that were hung on the rungs of the ladder, and they moved along with the chair on the metal runners. 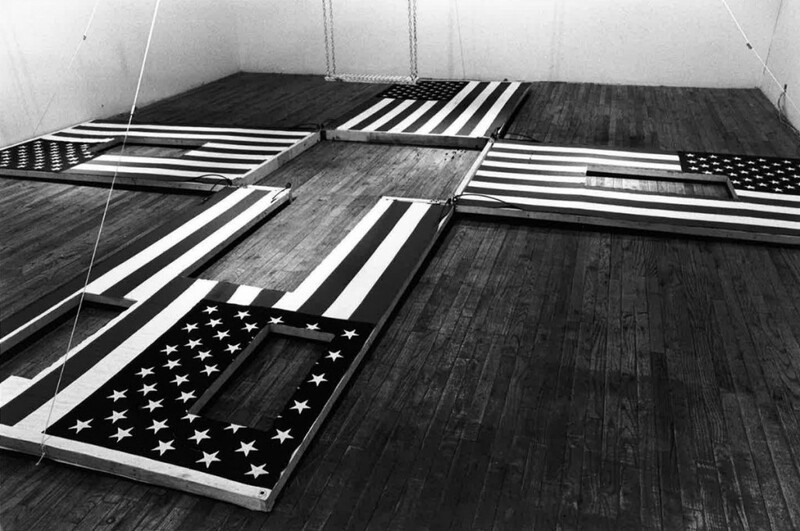 As the audio speakers ascended then descended onto the bottom of the chair seat, the sound changed from a sing-voice song to multiple-voice speech.